I decided after I swam the Swimathon that I would enter Bridge to Bridge, a swim along the Thames from Henley-on-Thames to Marlow. The distance is 14.1 km which is 8.76 miles or 564 lengths of a 25m pool if you prefer. This video gives you an idea of what it’s all about. 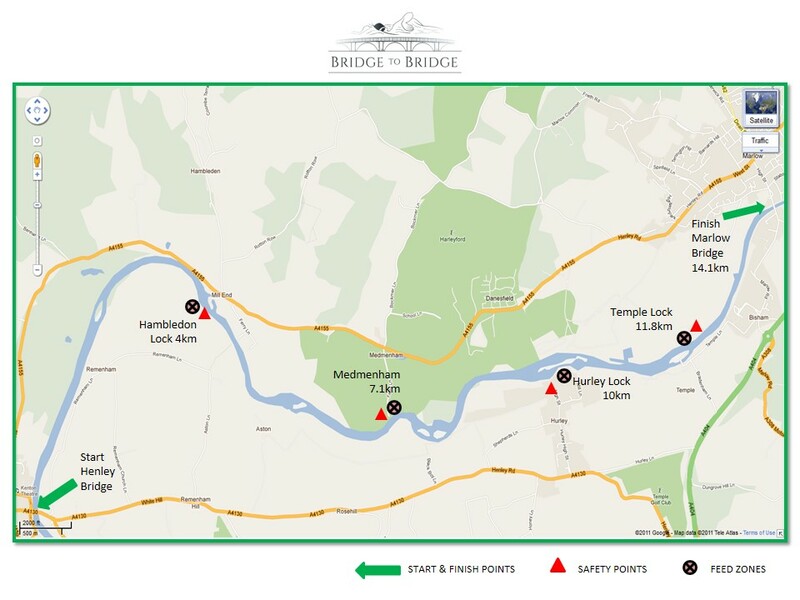 There are several stopping points along the river so I don’t have to do the whole lot in one go but even so this is going to be a big challenge. At the stopping points I will have a chance to get out and have a drink and stretch my legs. The longest sections are at the beginning with the first three 4km, 3km and 3km. At the Swimathon I swam 5km in 2 hours 53 minutes so I’m likely to be a long time in the water. I’ll keep this blog up to date with my progress but I would be mighty obliged if you would consider donating a few quid to my chosen charities St. Christopher’s Hospice and Veterinary Benevolent Fund via my donation page.